Here is the Sperry Hockey Roster for Thursday, August 29, 2013. We take the ice at the Main Street Arena at 9:30 PM and play for 50 minutes. We will run B and C lines with a 90 second clock. Please arrive early so you have plenty of time to dress and be ready to hit the ice. The cost is $15 per player. Goalies play for free. Brad Sayler will be taking your contribution this week. You can make his job easier by arriving as early as possible and finding him as soon as you enter the rink. Please pay either in cash or with a personal check. Do not pay with a credit card. Please make your check payable to Sperry Marine Hockey Club. This entry was posted in News, Roster and tagged 2013, August, Main Street Arena, Roster on August 29, 2013 by Sperry Hockey. We’re going to try this again, and we hope to have more success getting a game going this time. 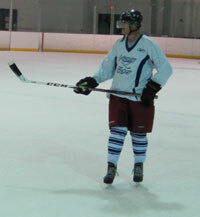 Everybody who signed up for Sunday’s game is on the Sperry Hockey Roster for Sunday, August 25, 2013. We can probably take three more skaters to round out the rosters, but we’ve definitely got a game. Note: Please check your emails prior to game time. No news is good news in terms of the ice being ready for our game. You might also try calling the Main Street Arena at 434-817-2400, or check the Sperry Marine Hockey Club’s Facebook page. New folks, welcome. You can come to Dan O’Connell or David Delamere with any questions. They will both be there on Sunday. Format is 3-line teams with 69-second autohorn. Line 1, you start us off tonight. This entry was posted in News, Roster and tagged 2013, August, Main Street Arena, Roster on August 24, 2013 by Sperry Hockey. 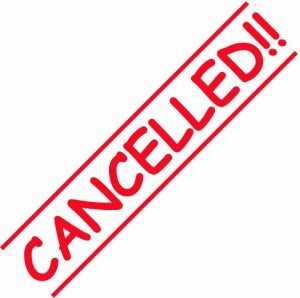 Due to ice issues beyond our control, the Main Street Arena, has informed me that tonight’s Sperry Hockey Game has been cancelled for Thursday, August 22. We’ll be in touch with the rink about setting up another date, but at this point, we want to get the word out now. We are sorry and were looking forward to get out there with you as much as you were. 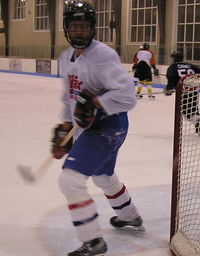 This entry was posted in Announcement, Cancellation, News and tagged 2013, August, Cancellation, Main Street Arena on August 22, 2013 by Sperry Hockey. The Sperry hockey game has been cancelled for tonight. Sorry, we were looking forward to getting out there with you as much as you were. As we said before, to accommodate the three lines, the game format will be a little different. Shift-on-the-Fly can get difficult to make sure everyone gets fair ice time with that many people, so we’ll operate on a 69-second autohorn for line changes. The odd shift time is a best guess tradeoff between minimizing the wait between shifts while still getting decent skating time when you’re out there. It should allow at least a full 60 seconds of solid play, yet provide enough margin to accommodate the time it takes to change the lines. So skate hard for your 60 seconds, then quickly skate to the bench when you hear the horn. With the fact we’ve got about 90 minutes and most probably haven’t been skating over the summer, this format shouldn’t be a problem. That odd 69-second shift time will allow for each line to get the same number of shifts, but it will cause us to to be slightly out of synch with our end time. So please make sure we’re out there promptly to get started. The two “Line 1” squads (below) will start. New folks, welcome! You can come to Dan O’Connell or David Delamere with any questions. They’ll be there on Thursday. Cost is $15per player for the extended session. Goalies play for free. Dan O’Connell will be taking your contribution this Thursday night. You can make his job easier by arriving as early as possible and finding him as soon as you enter the rink. The Main Street Arena has asked us to pay either in cash or personal check. Checks should be made out to the Main Street Arena. Do not pay with a credit card. Dan O’Connell is handling cancellations for this game. Send email to the Sperry email address (sperryhockey@gmail.com) prior to noon on game day. After noon on game day, please call Dan O’Connell at 434-466-2445. Cancellation policy is on the Sperry web site on the No-Show and Late Cancellation page. This entry was posted in News, Roster and tagged 2013, August, Roster on August 21, 2013 by Sperry Hockey. Due to the ice not yet being ready at the Main Street Arena, the Sperry hockey game has been cancelled for Tuesday August 20, 2013. We are currently working with the rink to reschedule the game. Most likely it will be for a time this coming weekend. We apologize for any inconvenience, but these are circumstances beyond our control. As far as we know, Thursday’s skate will not be affected. However, given the circumstances, and in an effort to be fair to everyone, we are willing to completely redo the Thursday night roster. Therefore, if you wish to play this Thursday evening, please RESEND YOUR REQUEST TO SKATE THURSDAY NIGHT, even if you were already on Thursday’s roster previously. We will notify everyone as soon as the rescheduled date and time are known. This entry was posted in Cancellation, News and tagged 2013, August, Cancellation, Main Street Arena on August 20, 2013 by Sperry Hockey.